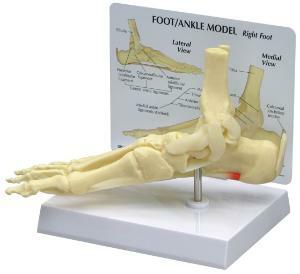 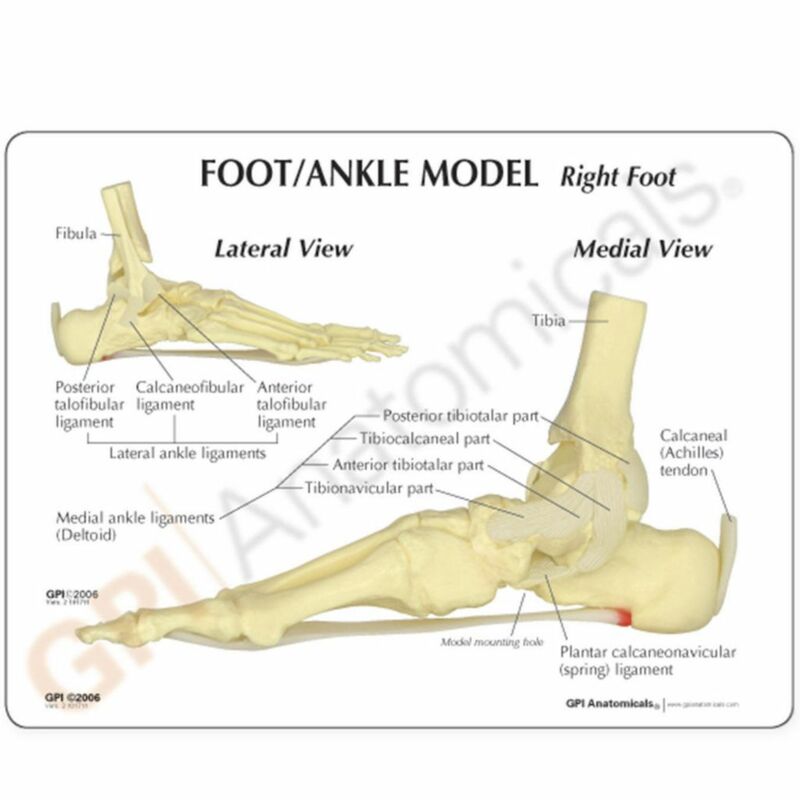 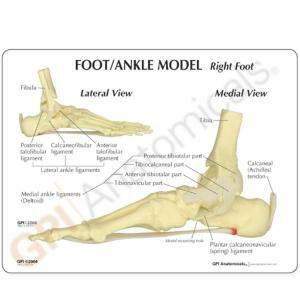 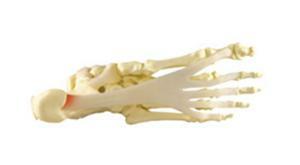 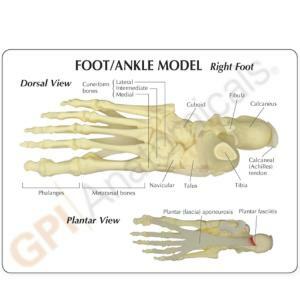 Show your students the bones of the foot and ankle and how they are attached to the tibia and fibula with this life-sized model. 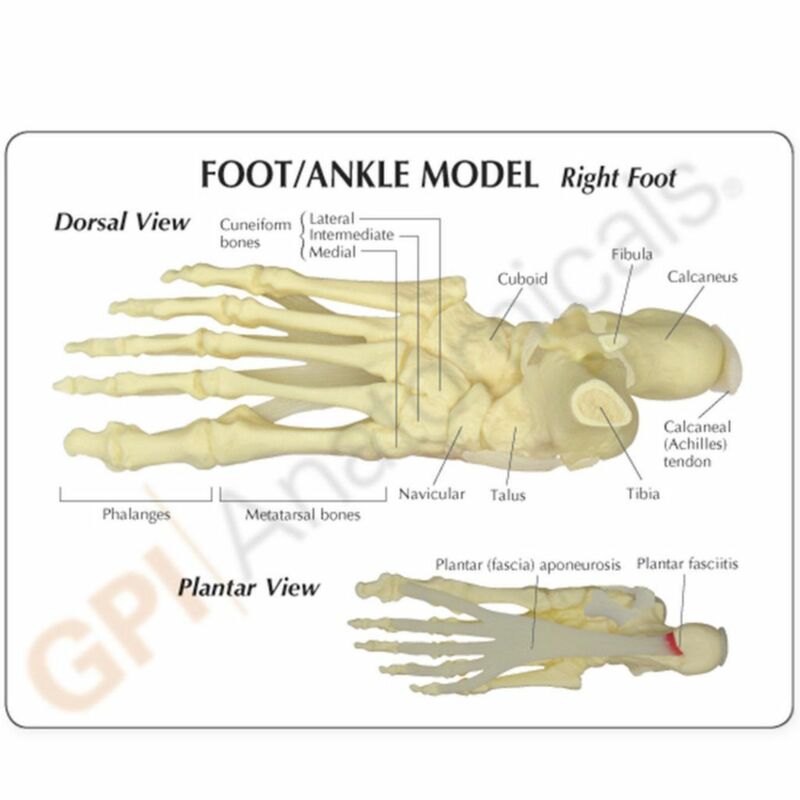 It features the plantar calcaneonavicular (spring) ligament with a plantar fascitis; the plantar aponeurosis, calcaneus, calcaneal (Achilles) tendon; the deltoid and lateral (collateral) ligaments; and the cuneiform, phalanges, cuboid, navicular, and metatarsal bones. The one-piece model is mounted on a base, but it can be removed for closer study.